The ACCC monitors and publishes information relating to prices, costs, profits and service quality of aeronautical services and facilities at Australia’s five largest airports. Airservices Australia (Airservices) has submitted a draft price notification to the ACCC proposing increases to its charges for terminal navigation (TN) and aviation rescue and fire-fighting (ARFF) services, effective from 1 July 2015. The proposed price increases are the same as those that were outlined in Airservices’ long-term pricing agreement, which was assessed by the ACCC in 2011. On 10 June 2014 Airservices submitted a formal price notification to the ACCC proposing new charges for en route, terminal navigation and aviation rescue and fire-fighting services, effective from 1 July 2014. The proposed prices are consistent with those that were outlined in Airservices’ long-term pricing agreement, which was assessed by the ACCC in 2011, and the draft price notification submitted to the ACCC on 9 May 2014. The ACCC released its decision to not object to Airservices' price notification on 26 June 2014. On 14 August 2013 the ACCC released its decision, which was not to object to the price notification. 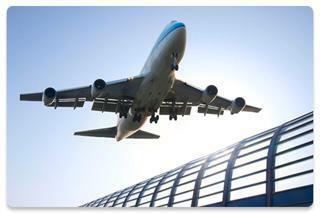 The ACCC released its decision to not object to Airservices' price notification on 14 June 2013. The ACCC released its decision to not object to this price notification on 22 September 2011. The ACCC decided to object to the price increases in SACL's price notification for regional air services and released its final decision on 17 September 2010.